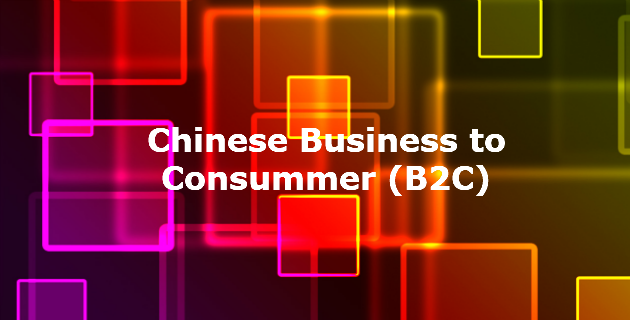 The internet has allowed the development of the Business to Consumer market in China. In the past most of the consumer products were purchased at local department store. The local stores selling consumer products had a very limited range and not part of a chain of stores. Store Chains do exist in China but limited to large cities and shopping malls. Chain stores in the past, Chinese or oversea, have not always been welcome by local retails and consumers as local retails can be forced out of the market by the chain store. Local retail can create pressure and forced the chain store to close! Given the lack of chain stores purchasing power and local competitor’s most Chinese made product where available outside China a cheaper price. Overseas goods were sold in licensed overseas stores at greatly marked up prices. The consumer market changed greatly with start of the local e-Mall department stores. Before China had access to local websites the overseas e-Malls have always been available. Some of them where accessible from China, not because they were blocked, just they too slow or not accessible at all. The other key issue was door to door delivery. The international delivery was costly and returning the goods was too exceptive. One of the first local e-Malls was Amazon China, a local Chinese JV between China Company and international company Amazon. This was followed by Taobao, created by Alibaba. They welcome Chinese made products at the low prices and accessible to all. 360Buy, which now know JDBuy, is the major competitor to Alibaba e-Malls. The advantage JDBuy has over Alibaba is there trading / commercial relationship to WeChat (Tencent). We except given this relationship JDBuy market share will grow greatly in the next few years (see BATs for more information). Amazon China has a very low percentage of the Chinese market. They lost their market share to Taobao had a created end to end solution and there greater marketing reach. The good news today is all these e-Mall department stores help the suppliers to trade end to end; selling, payment, importing, shipping, taxes, etc. These services come at higher cost then trading on Amazon or eBay outside China. Many Chinese business feel that trading in the e-Malls is very expensive and that only the e-Malls make a high profit. There are many problems in these e-Malls with counterfeit products been sold (or copy products as they are called in China). The biggest trading day on-line in China is 11 November: Bachelor's Day. i.e. what you see often on the internet in China is the net price for end consumer. There is a very large consumer market in China. First you must own your band in China. If you do own your brand registration in China you can take control of who can sell your products on-line from a Chinese website. This is something which general not available in the rest of the world! After taking control your company’s band in China you start work reducing the distribution costs, e.g. shipping in bulk, creating a Chinese company and reducing transaction fees. The good news you can start your business case today without travelling to China. Just start searching the Chinese e-Malls for your products / like products and see if there is a market for your business in China.